Friend Arrested For DWI? Don’t Pick Her Up While Drunk. But no one was sober behind the wheel after a man in Louisiana was arrested for DWI recently. Police pulled over a vehicle full of people and arrested the driver, and the rest of the group was left in a parking lot to call a cab to get home. Instead of staying home, one of the passengers headed back to the parking lot, retrieved the car, and went to the jail to bail out her friend. The problem? She was also drunk driving, so when she arrived at the police station, she was also arrested for DWI. Police were considerate enough to place her in a jail cell with her friend, and whoever picked them up the next day must have had quite a story to tell. 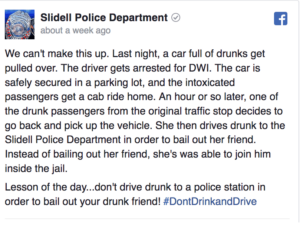 It’s such a crazy situation that even the Slidell Police Department decided to put it on their Facebook page. Instead of one person heading to court to be sentenced to Louisiana drunk driving penalties, now there are two. That’s two people paying fines, possibly spending up to six months in jail, losing their driver’s license for a year or two depending on their blood alcohol concentration (BAC) at the time of arrest, and two rounds of community service. The good news for both offenders? Louisiana allows their offenders to obtain a restricted driver’s license immediately when that person installs an ignition interlock in their vehicle for the entire suspension period. That means that these two offenders will be able to drive again as soon as they install their interlock, and hopefully the next decision they make while under the influence is to call a cab. New Orleans is famous for Mardi Gras, and a lot of popular parades celebrate the holiday every year. Although no one expects anyone to remain sober during these events, what police and local officials do hope is that no one will make the choice to get behind the wheel and cause a drunk driving crash in New Orleans during Mardi Gras. But there’s always at least one person who will get behind the wheel of a car drunk, and this year’s Mardi Gras was no exception. A man made the decision to drive straight into a crowd of thousands of people who were watching the Krewe of Endymion parade on a busy Saturday night, and now police have arrested him on several drunk driving charges. 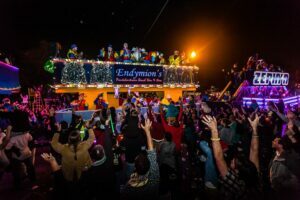 The Krewe of Endymion parade is the biggest parade held on the busiest night for Mardi Gras and its the parade where people watch the floats and catch beads, so it would be the worst possible place for a drunk driving crash in New Orleans. That’s why, when the drunk driver drove into the crowd, he managed to injure a lot of people. Twenty eight people ranging in age from three to mid forties were struck, and there was even an on duty police officer who was in the crowd too. Many of the crash victims were transported to the hospital, with several seriously injured. It turns out that the driver, Neilson Rizzuto, was driving with a blood alcohol content (BAC) that was 3 times over the legal limit. Two hours after the crash, when he was in custody and took a breathalyzer test, he registered 0.232. He’s now charged with two felony counts of vehicular negligence in the first degree as well as several other charges. Mardi Gras is a celebration, and people should be able to gather on the streets to have fun without worrying that they’ll be the victims of a drunk driving crash in New Orleans. Let’s hope this was the first and last time we’ll hear of this happening. Louisiana has been tough on drunk driving since they passed an all offender ignition interlock law back in 2007. From that time on they’ve focused on ignition interlock compliance, checkpoints, and cracking down on offenders who repeatedly make the choice to drink and drive. Now lawmakers in New Orleans have taken another step to toughening their drunk driving laws by switching where these offenders are prosecuted. While drunk driving cases have always been handled by the local traffic courts and via city attorneys, they’re now moving to Orleans Parish Criminal Court and prosecutors working for the district attorney will handle the prosecution. It’s a move that’s come for a few reasons. According to one report there are more than 14,000 open driving while intoxicated (DWI) cases in New Orleans right now, and incredibly some of those date back to the 1980s. Traffic court, given the sheer volume and variety of offenses, just can’t keep up with Louisiana drunk drivers. There’s also a question of how smart it is for a traffic court to handle what many states see as a criminal offense. According to a report by the Louisiana Inspector General, drunk driving cases in New Orleans aren’t tracked well because records on these offenders aren’t being kept properly. 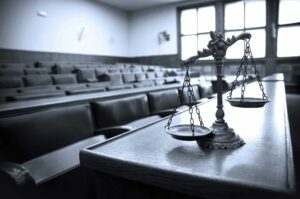 The move to a criminal court is a good idea for New Orleans, if only because if a drunk driving offender in Louisiana isn’t dealt with in a timely manner, they’ll never be subject to the penalty process. Because that process includes a one year driver’s license suspension and ignition interlock requirement, the drunk drivers who have been waiting in limbo for a conclusion may still make the decision to get behind the wheel of their vehicle. And if they decide to drive, they may also decide to drive drunk. Speeding up the judicial process is just one more way that Louisiana can take control of their drunk driving problem, and if they can manage to clear the backlog of cases and process offenders in a timely manner, the state will have safer roads for everyone on them. Another Police Officer Lost Means It’s Time To Change Drunk Driving Laws? Tragedy has the power to force change, especially when it comes to drunk driving laws. People tend to accept the status quo until something happens that’s so shocking, it makes them realize that the current laws are too lax or simply aren’t working. That was the case in Maryland when Officer Noah Leotta was struck and killed by a drunk driver during a traffic stop. Because of the tragedy and in memory of Officer Leotta, Maryland lawmakers passed a much needed all offender ignition interlock law. By requiring ignition interlocks for all offenders, Maryland is taking steps to prevent another crash like the one that killed Officer Leotta. Now, unfortunately, another officer has been killed in another part of the country. 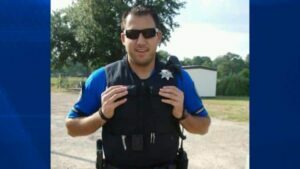 Officer David Elahi was out on a routine traffic stop in Sterlington, Louisiana. He was stopped on the side of Interstate 55 talking to a woman who had been driving on a suspended driver’s license. At that moment, a pickup truck sideswiped the police car, took off the police car doors, and hit Officer Elahi. There were two other troopers with him at the time and they suffered minor injuries, but Officer Elahi died. The man who sideswiped the patrol car has been arrested and is facing charges in Louisiana state including vehicular homicide and vehicular negligent injury: killing or injuring someone by driving while drunk. Will this crash be the motivation for Louisiana to push for tougher drunk driving laws? 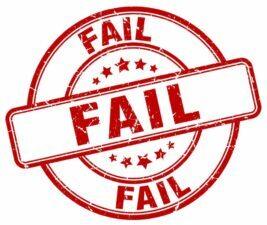 The state has had an offender ignition interlock law since 2007, requires jail time for first offenders, and, according to Mothers Against Drunk Driving (MADD), is only lacking Administrative License Revocation (ALR) before it becomes a MADD 5 star state. ALR allows officers to immediately confiscate a drunk drivers driver’s license and is effective as a deterrent for drunk driving. Making sense of such a tragic event is asking the impossible for friends and family of both Officer Elahi and Officer Leotta. The only thing left to do is honor their memory and find a way to toughen drunk driving laws so another officer doesn’t die in a crash that’s 100% preventable. There are some easy ways to avoid a driving while intoxicated (DWI) charge. If you haven’t picked a designated driver before you go out, you can call a cab, call Uber, or anyone else you know who hasn’t had a drink. 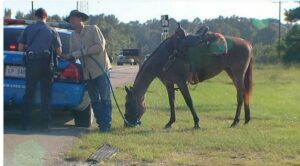 Or, if you’re like a Watson, Louisiana man, you could rely on one of man’s best friends: a horse. When Jake Williams stopped at a local watering hole to have a few drinks, he had his horse in a trailer behind his truck. Once he walked out, he decided he was too drunk to drive. That’s when he opened up his trailer and pulled out his horse Sugar. His reasoning? The horse knows the way home, so if he’s too drunk to drive, it was his best option for a safe ride. You have to applaud him for not making the decision to drink and drive in his truck, but local police weren’t that happy with his choice of ride. Because the horse wasn’t a motorized vehicle, they couldn’t charge him with a DWI in Louisiana. What they did charge him with was public intoxication. 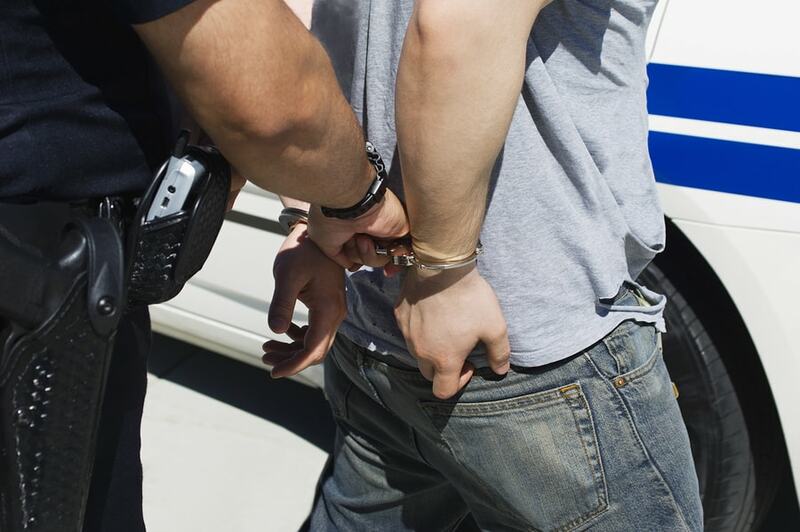 There are some states where you may be charged with driving under the influence (DUI) or DWI. There was a case in Florida where a man was charged with both DUI and animal cruelty for riding a horse home drunk, but he wasn’t convicted. In the case of the Louisiana man, he’s lucky he missed out on the DWI charge. If it was his first DWI in Louisiana, he’d receive 2 days up to 6 months in jail, up to $1,000 in fines, a 90-day drivers license suspension, and it’s possible he’d have to install an ignition interlock in any car he’d drive. This incident is a great reminder of a few things: you should never drink and drive, drinking and driving on any type of vehicle is against the law, and horses should never be your vehicle of choice when you’re drunk. Christmas trees are supposed to be full of lights and ornaments that bring back happy memories. 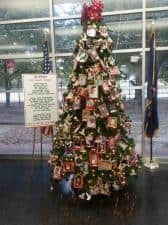 The tree in the Louisiana State Troop police office brings back memories, but they aren’t of the happy variety. For 5 years the police officers have displayed a tree dedicated to the Louisiana chapter of Mothers Against Drunk Driving (MADD) and all of the people lost due to drunk driving in the Louisiana area. The tree is a vivid reminder for the officers and anyone who sees it about the continual devastation of drunk driving, and shows how these people aren’t statistics – they’re real people with families who miss them, especially at this time of the year. The department held a dedication when they put the tree up, and they invite anyone in the area to who has lost a loved one to drinking and driving to bring in a photo and add it to the MADD tree. Unfortunately, there are still a lot of people in the state who can be added to the year every year. In 2012, Louisiana lost 241 people to alcohol-related crashes, and 5,614 people were injured. But there is good news in Louisiana – since passing an all-offender ignition interlock law in 2007, driving under the influence (DUI) deaths have dropped by 40%. Improved DUI laws include 12 to 24 month license suspensions for first offenders, up to six months in jail, fines up to $1,000, and an ignition interlock requirement for 12 months to 2 years depending on your blood alcohol concentration (BAC) at time of arrest. 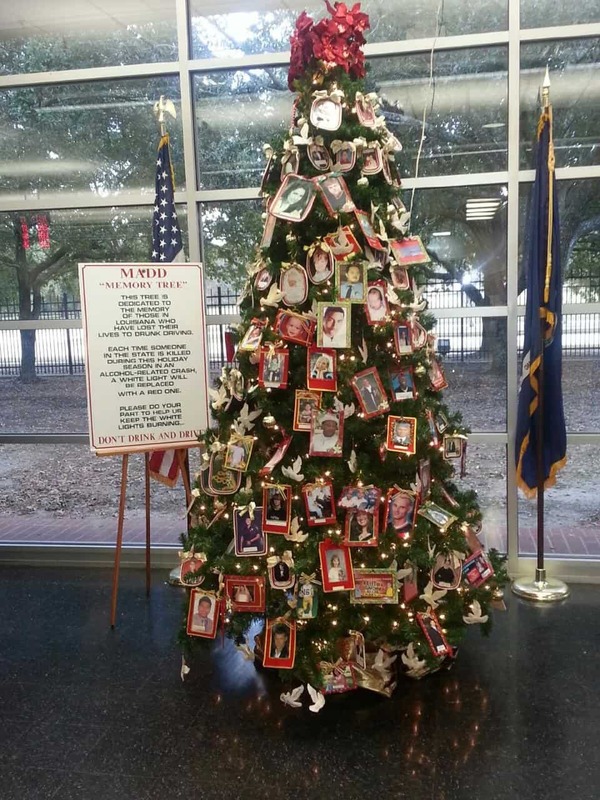 While the MADD holiday tree will continue to honor all those who have lost their lives to the senseless act of drinking and driving, thanks to Louisiana’s all-offender ignition interlock laws, maybe there won’t be new faces added each year. This holiday season, make the right choice – don’t drink and drive. Louisiana joined other states by passing an all offender ignition interlock law in 2007. Since that time, the state has seen a 40% drop in drunk driving deaths, with 241 fatalities recorded and 5,614 alcohol-related crash injuries in 2012. For all penalties, the judge may also require community service and a possible court approved substance abuse program. Underage drinkers aren’t exempt from DWI penalties in Louisiana. If you are under the age of 21 and are found to have a blood alcohol concentration of .02, you’ll be charged with DWI and be required to pay the price just like anyone over the age of 21. Since increasing the legal drinking age from 18 to 21 in 1987, the state of Louisiana has been pushing toward stricter DWI laws. With the implementation of strict all offender ignition interlock laws, increased DWI penalties, and a step up of law enforcement, the state should see its DWI fatalities drop even more.